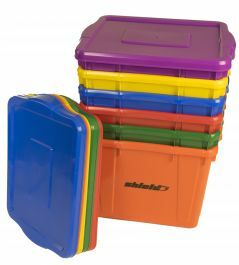 Shield Mfg. 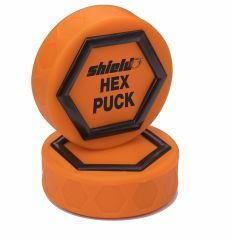 Inc. - complete line of sports equipment - indoor and outdoor hockey equipment and accessories; gym and physical education accessories; and mouth guards for all contact sports - for schools, teams and individuals. Shield Mfg. Inc. has been putting money where our mouths are since it started business in the 1940s with a denture care line produced in the basement of company founder, Hyman Berghash. Starting out under the name Brimms, in the 1960s the company created its sporting goods division - Shield Mfg. Inc. - to focus first on mouth guards, then on lines of hockey sticks and accessories. 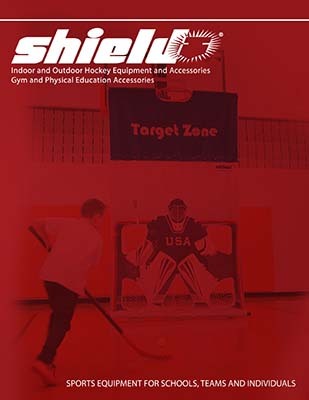 Today, still run by members of the Berghash family, Shield manufactures a complete line of sports equipment - indoor and outdoor hockey equipment and accessories; gym and physical education accessories; and mouth guards for all contact sports - for schools, teams and individuals. Click cover to view our catalog.